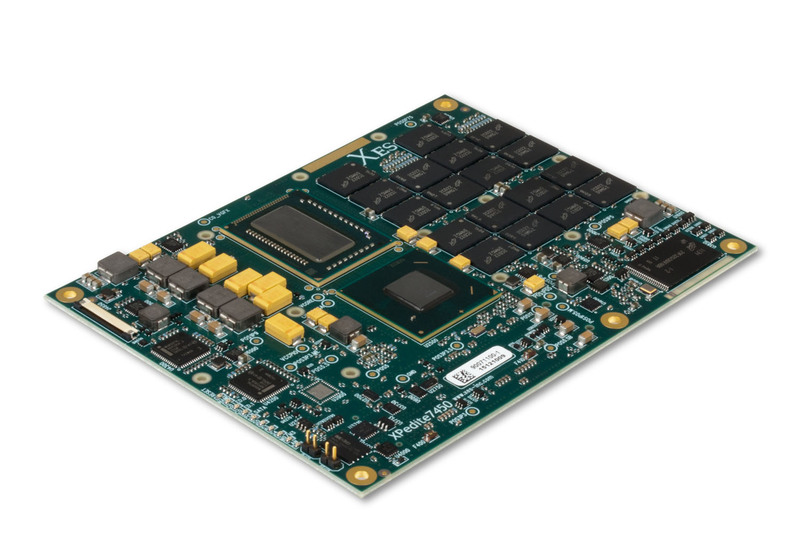 Middleton, WI – Extreme Engineering Solutions, Inc. (X-ES) introduces XPedite7450, a rugged COM Express® module that complies with the PICMG COM Express Basic form factor (95mm x 125mm) and supports an enhanced Type 6 pinout. The XPedite7450 can be hosted on a standard COM Express carrier card or a custom carrier card built to include additional end-user requirements, or it can be integrated into an X-ES XPand6000 Small Form Factor (SFF) rugged system. Based on the 3rd generation Intel® Core™ i7 quad-core processor, the XPedite7450 operates at up to 2.2 GHz to deliver enhanced performance and efficiency, making it an excellent processor mezzanine for commercial, industrial, and military applications.